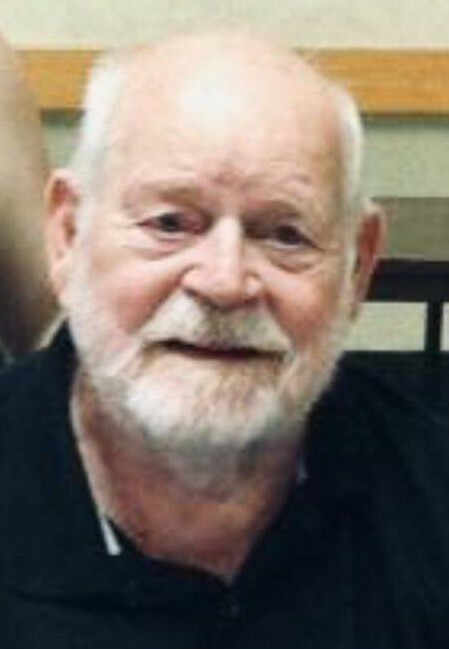 Andrew Charles Evans, age 86, of Centralia, Illinois, passed away at 7:53 P.M. on Wednesday, January 16, 2019 at SSM Health Good Samaritan Hospital in Mount Vernon, Illinois. He was born on September 2, 1932 in New Madrid, Missouri, the son of the late Thomas Stanley Evans, Sr. and Vivian (Claypool) Evans. He married Glenda Miller in 1955 in Centralia, Illinois and they later divorced. Mr. Evans is survived by his daughter, Cheryl Slover of Central City, Illinois; four grandchildren, Kristi Colbert of Centralia, Illinois, Brad Schulte and wife Meredith of Centralia, Illinois, David Hicks and wife Sarah of Centralia, Illinois and Shanda Myers and husband James of Centralia, Illinois; eight great grandchildren, 3 great great-grandchildren; sister, Ruth Ann Sullens of Florida and many nieces and nephews. Mr. Evans was preceded in death by his parents; daughter, Mitzie Hicks; son-in-law, Bill Hicks; one grandson, Tommy S. Hicks; five brothers, Thomas “Jiggs” Evans, Jr., Paul Edward Evans, Larry Gene Evans, Sr., David Solen Evans and Richard Lee Evans and three sisters, Carol Sue Pounders, Linda Harvey and Maxine Wolf. Mr. Evans was of the Christian faith and he recently found the Lord. He was a veteran of the U.S. Army, serving his country during the Korean Conflict from August 2, 1951 to January 10, 1955. He had achieved the rank of Corporal at the time of his discharge from military service. During his service, he was in the 82nd Air Borne as a paratrooper and then in the infantry. He was a member of the Masonic Lodge, where he was a 32nd Degree Mason. Mr. Evans enjoyed life, especially fishing out on the lake, gardening and canning and teaching his family about gardening and canning the fruits of their labor. He loved to cook and eat and share his meals with his family at get-togethers. He was an avid fan of the St. Louis Cardinals. Earlier in his life, he loved to golf and play baseball. His baseball playing talent got him noticed by the St. Louis Browns, but he instead chose to enlist in the Army. Mr. Evans was known to give you what he had, even when he didn’t have much. He had a good, wonderful life and is remembered as a beautiful soul. He cherished the time he spent with his family, especially the rides to Vincennes, Indiana to see the Veteran Memorial and Springfield, Illinois to visit the Abraham Lincoln museum. Mr. Evans retired in 1989 as owner of Larry’s Seafood in Centralia, Illinois as a result of his failing health. He received his pilot’s license in 1983 to fly a C-172 plane and he would fly down to Biloxi, Mississippi for seafood for his restaurant. He was previously an owner of Evans Enterprise in Centralia, Illinois and Evans Appliance in Centralia, Illinois for many years. He has lived in Centralia, Illinois since 1969, formerly living in California for 15 years. A Celebration of Life Service will be held at 2:00 P.M. on Saturday, January 26, 2019 at the Moran Queen-Boggs Funeral Home in Centralia, Illinois with Minister Stephen Nail officiating. Military Honors will be accorded by the Centralia V.F.W. Post 2055 and American Legion Post 446. Family and friends are invited to visit with Mr. Evans’ family from 12:00 P.M. until the time of services at 2:00 P.M. on Saturday, January 26, 2019 at the Moran Queen-Boggs Funeral Home in Centralia, Illinois. Memorial contributions may be made in Mr. Evans’ honor to the American Heart Association and will be received by the Moran Queen-Boggs Funeral Home in Centralia, Illinois. Please view the online obituary, send condolences or share memories with Mr. Evans’ family at www.moranfuneralhome.net or on the funeral home’s Facebook page.